OCEM is pleased to strengthen its presence on the African continent, entering the Ethiopian market for the first time with products in two of the nation’s airports, Hawassa International Airport and Aba Segud Airport (also known as Jimma Airport). The airports requested OCEM’s services for CCRs (constant current regulators), halogen airfield ground lighting for the approach and runway/taxiway edges, PAPI (precision approach path indicator) and spare parts. Thanks to the company’s strategic implementation of lean production, OCEM produced and delivered the equipment within three months of the order date. OCEM has completed several successful projects in Africa, most recently with the Antananarivo Ivato International Airport in Madagascar, an institution with which it has a long-term and highly esteemed relationship. Soon OCEM will also finish a collaboration with Cairo International Airport, one of its biggest projects in 2018 in terms of products and services supplied. 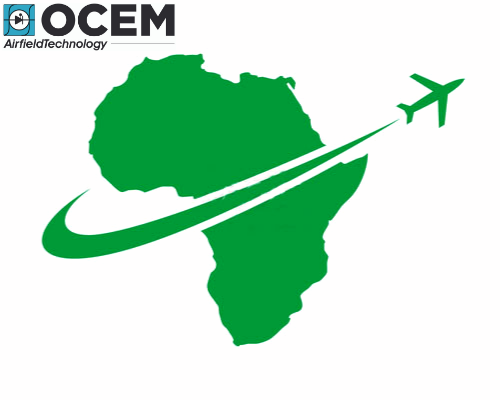 OCEM Airfield Technology is proud that African nations are recognizing the quality of its products and services, as superior quality is central to the Italian company’s business. Contact OCEM today to learn how its portfolio and services can be an asset for your upcoming projects.